One of the most frequently asked questions that we were asked at Playful Pooch, our doggy daycare in Denver, was “how can I stop my dog from barking?” I always wished I knew the answer, especially on crazy days when over a hundred dogs decided to bark at the same time. It was probably the one thing that led me to wanting to sell our business and I still hate it today when our new little pups decide to let loose at their reflection in the window as we walk into the vet’s office. 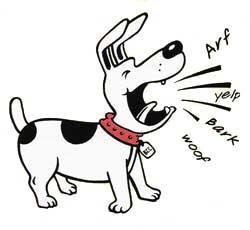 Barking is a dogs primary means of communication, along with howling, growling and whining. It’s a way to invite another dog to play, or to warn us of an intruder or danger, or to express its fear or curiosity. Some dogs bark out of boredom, out of stress and anxiety, or to get our attention. It kind of sounds like some of us humans as well, similar to how the ladies are at our Tuesday breakfasts, all wanting our stories to be heard over someone else’s. But how do you stop that yappy happy dog when you’ve just had enough? Well, there is no one-size-fits-all, but here’s six ideas to help keep you from going crazy every time your pooch cuts loose at the mailman. 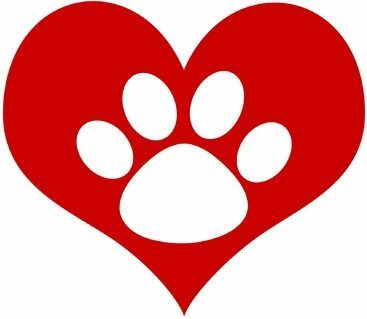 1) If your dog is young, expose them to lots of new experiences meeting new people and new dogs. I read that they should meet 100 people in their first 100 days. I need to do that too. I don’t think I know 100 people. 2) Wear them out with lots of exercise and walks. A tired pup is a quiet pup which is what we are learning about our puppies, Roxie and Oscar, weighing in at 7 and 11 pounds, our 7-11 duo. 3) Remove their motivation. If your dog barks at the neighbor kid for hours, bring them inside, duh. That seems like a good idea, obviously one that our next door neighbor never thought of with Joey, a non-stop barking Golden Retriever that caused us to move away. Don’t reward them by ignoring the barking and thus rewarding the unwanted behavior. 4) Teach them the “quiet” command through consistent positive reinforcement training with treats. Buy lots of treats. We know our friends at the Sun City Pet Market quite well. 5) Keep a journal of what and when things seem to trigger a barking fit. Once you see a pattern you can start working on behavior modification. There are little journals all over our house….nothing in them, but it’s a good start. 6) Listen for the different types of barks. Does something stimulate your pooch, like someone walking past your house? The doorbell ringing, a flea flitting by? It takes a lot of consistent and patient work with your dogs to stop their barking. Let me know what works for you and we will try it with the 7-11 duo.